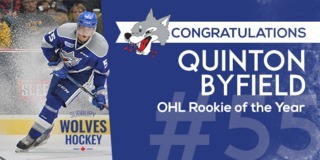 (Greater Sudbury, ON) Wolves Hockey action returns to the Sudbury Arena this week for a rare Thursday night match-up against the Ottawa 67’s at 7:05pm. This game marks the return of former Wolf Norm Milley and the league leading 67’s for their only appearance of the season. The 67’s currently sit atop the OHL with 36 points in 22 games with a record of 17-3-2-0 and are led up front by overage right-winger Tye Felhaber who sits second in the league in scoring with 37 points in 22 games. 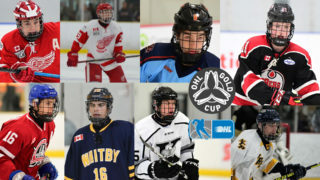 The Ottawa roster features five NHL draft prospects including 2018 2nd round Washington Capitals draft pick Kody Clark and 2018 2nd round Arizona Coyotes draft pick Kevin Bahl. Thursdays’ game is sponsored by the Real Canadian Superstore. One lucky fan will win 500,000 PC Optimum points. Fans can also visit their kiosk in the lower lobby for the chance to win PC Optimum Points. The Sudbury Five will also be on hand to meet with fans and will be introduced during the game. 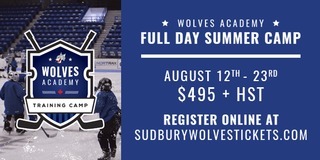 Great seats are available at greatersudbury.ca/tickets or sudburywolves.com and in person at the Sudbury Arena Box Office. New this season, online tickets purchased from your computer or mobile device are now the same price as Box Office. 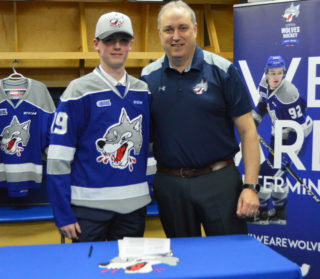 Fans can skip the line, get your tickets early, online, scan your phone or print your tickets and come cheer on your Sudbury Wolves this season! Following Thursday’s game, the Wolves will hit the road for a clash with Central Division rivals, the North Bay Battalion and Mississauga Steelheads. Friday, the Wolves will travel to North Bay for a 7:00pm match-up at Memorial Gardens. Sunday, the Wolves will travel to Mississauga to take on the Steelheads at 2:00pm. 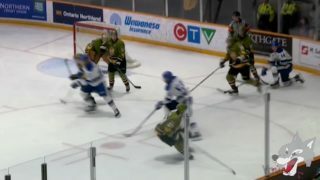 Fans can follow the Wolves on the road by tuning into the live play-by-play on CKLU 96.7 or on mixlr.com/sudburywolves. 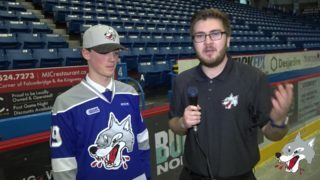 Fans can tune into Friday’s game on Eastlink Channel 10 or 610HD for Wolves Hockey action.